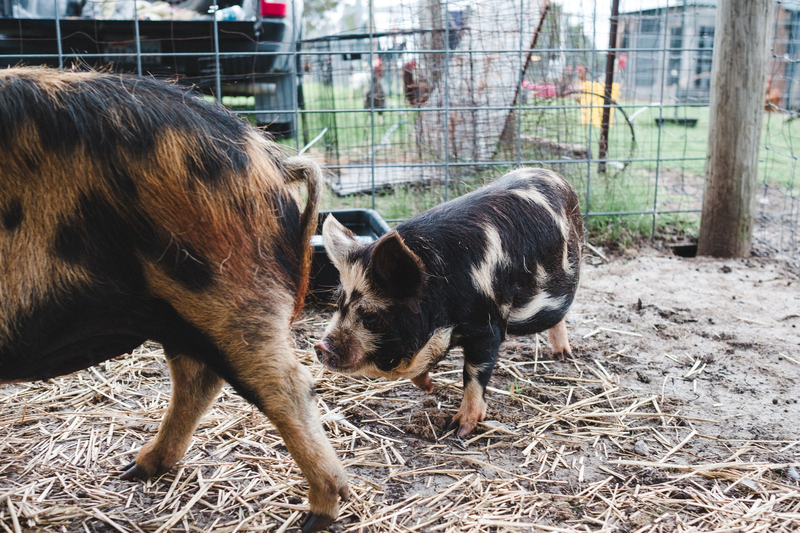 The M&M Homestead | Heeeeeere KuneKune! 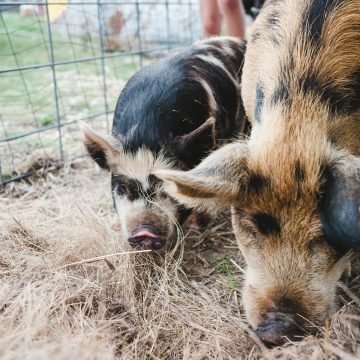 I’ve been wanting pigs for a couple of years now (hence the logo), specifically the KuneKune breed. Until now, the Magic Triangle* has been misaligned and so I’ve patiently waited. That time has finally come and I’m overjoyed to show off our new breeding pair of pigs. 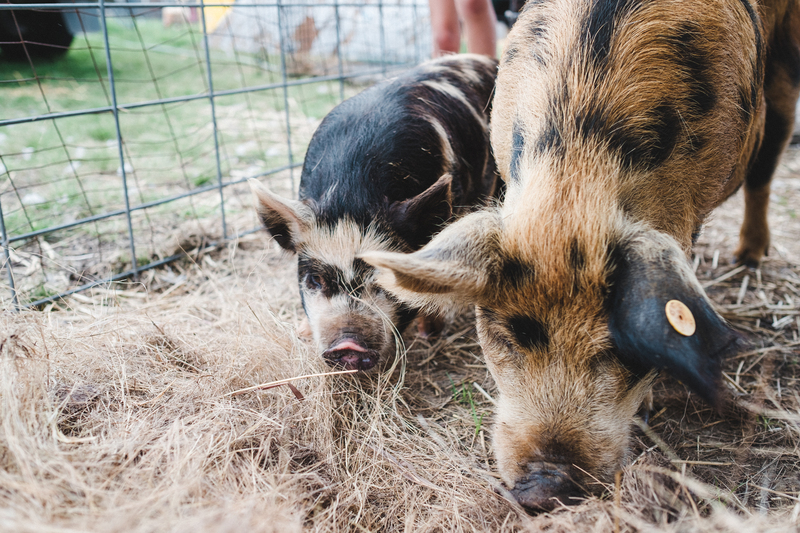 But first, here’s some background on the KuneKune breed.. The breed is believed to have descended from an Asian domestic breed introduced to New Zealand in the early 19th century by whalers or traders. 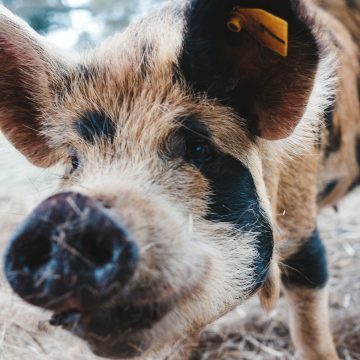 They differ markedly from the feral pig of European origin known in New Zealand as a “Captain Cooker“. 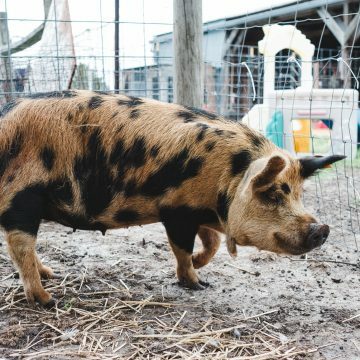 The native Māori people of New Zealand adopted kunekune: the word kunekune means “fat and round” in the Māori language. 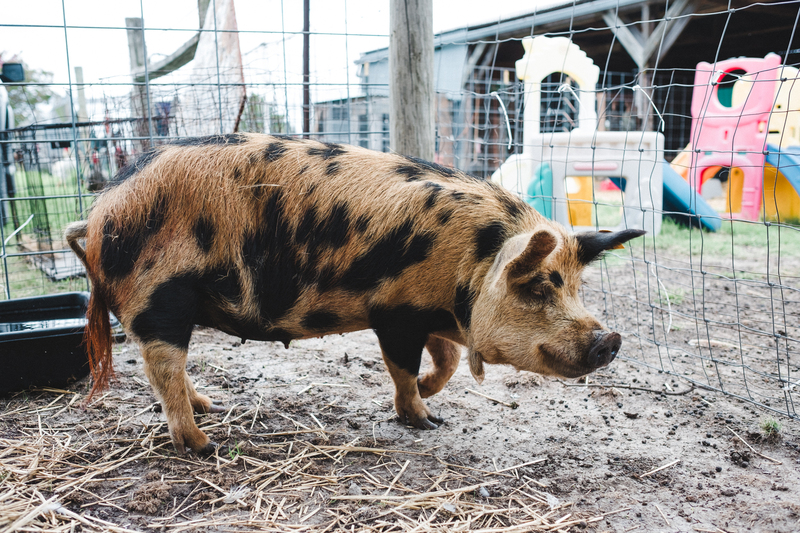 By the 1980s, only an estimated 50 purebred kunekune remained. Michael Willis and John Simister, wildlife-park owners, started a breeding recovery program, which in turn encouraged other recovery efforts. As of 2010, the breed no longer faces extinction, with breed societies in both New Zealand and the United Kingdom. In 1993, two were imported into the United States from the UK. The meat has exceptional flavor, lovely marbling and is richer in color and more succulent than commercial pork. 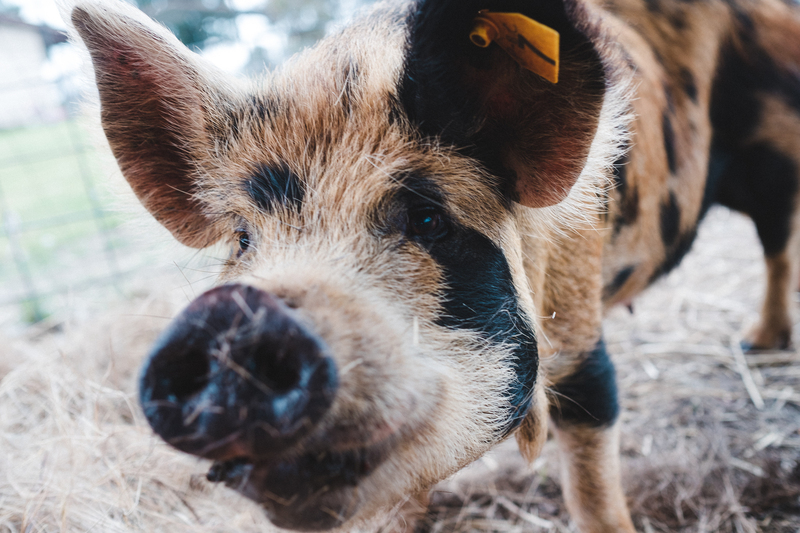 Those characteristics combined with their general size, demeanor and mostly-grass diet means this breed is absolutely perfect for our homestead. So we’ve acquired these two pigs in order to kick start our breeding program and all of the subsequent piglets will be raised for the table. 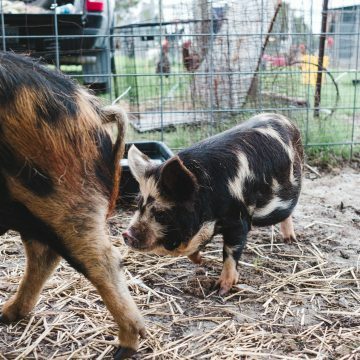 I’m also going to put these animals to work – I need to prep an area of land for planting vegetables next year and they’re going to do the hard work for me by clearing the vegetation, rooting up the soil, and crapping out pounds of fertilizer. Win/Win! 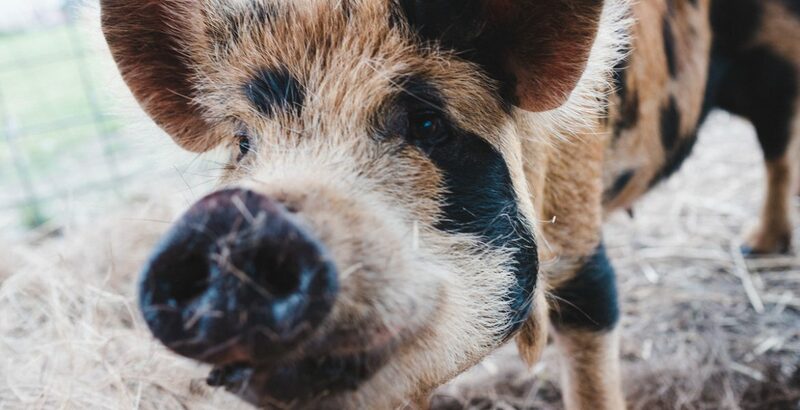 October 6, 2018 Post by Michael in pigs.